Want to know what I spent most of last night doing? How much time did I spend cleaning house or doing other domestic activities? I am clearly on track for both the Mom of the Year and Girlfriend of the Century awards. I’m ready. When it comes time to give my speech I’ll just spend a few hours formatting my notes and then put my TeamSpeak on hold and I’ll only arrive a couple hours late. It’ll be fine, don’t worry. Here’s another thing: over the last couple of weeks I’ve discovered Mac Numbers. I am seriously in love. I really mean it. Over the last few weeks, Band Geek and I have been talking about how best to get on top of bills and stuff. This is mostly because I’m terrible at it. Paying bills, I mean. Not that I can’t pay the bills, I just…forget. Like that part of my adult brain just shuts off after work and I forget about stuff like, you know, paying the electric bill. Or whatever. Most stuff comes out automatically, thank goodness, or I’d be sitting here in the dark with no water, but some stuff doesn’t. Plus, we were talking about how we’re going to save more for retirement, and fun stuff (like weddings and honeymoons!) and how we don’t really even have a monthly budget, we just kind of check the accounts and spend till we have to stop. So I started messing around on the computer and I found…Numbers. With TEMPLATES. And COLORS. And CHARTS. And I can INSERT PICTURES. And I can have MULTIPLE TABLES in a SINGLE SHEET. 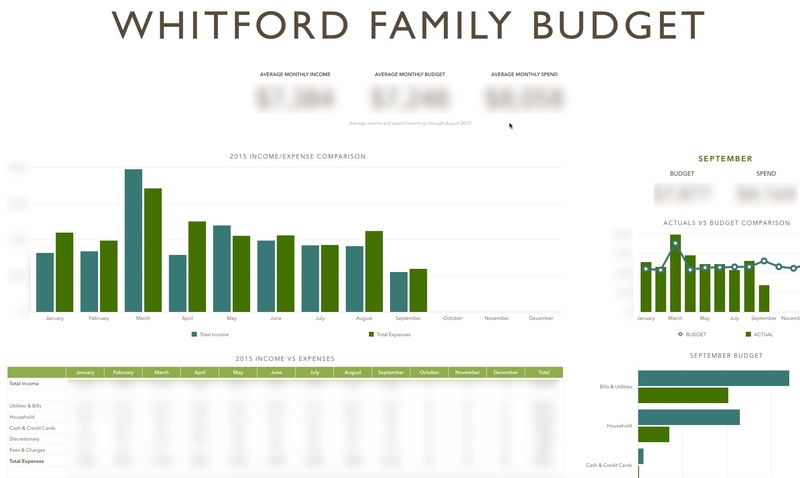 Of course, I promptly spent the entire weekend building the WHITFORD FAMILY BUDGET! Yes, those are instructions to myself on how to use my own spreadsheet. And of course for Band Geek, since we’re in this whole managing money thing together. At least in this case my obsessiveness paid off, because now I have a really cool spreadsheet that I can use to track what we’re bringing in, what we’re spending, whether we’re under or (ahem) over budget, and it looks so PRETTY!!! Plus, I can copy it to a new file for next year and it’s all already built! With FORMULAS! And did I mention the charts? I’m swooning. Once I was done with this, of course I built one for the wedding. I’m considering one for Christmas shopping. 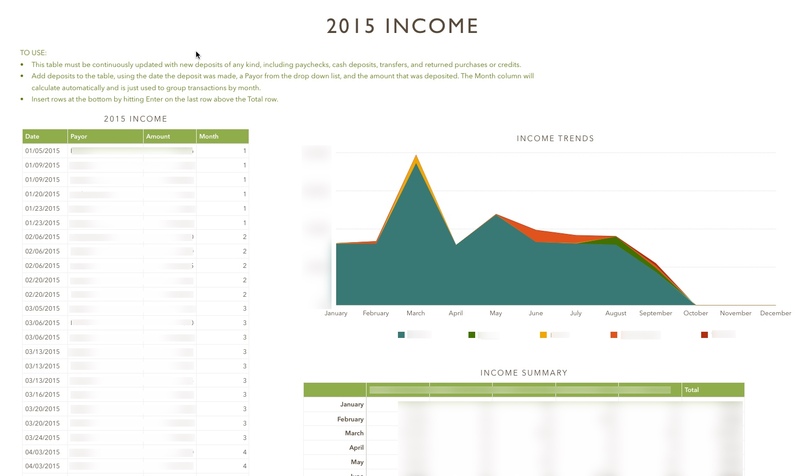 I am totally sure I can come up with more things that really do require a brand new spiffy spreadsheet. I’m pretty sure that Band Geek is wondering what he’s gotten himself into. At least it comes with an awesome spreadsheet! Previous posti really can’t believe it’s come down to this. Next up, a spreadsheet to help track your progress crafting a legendary! 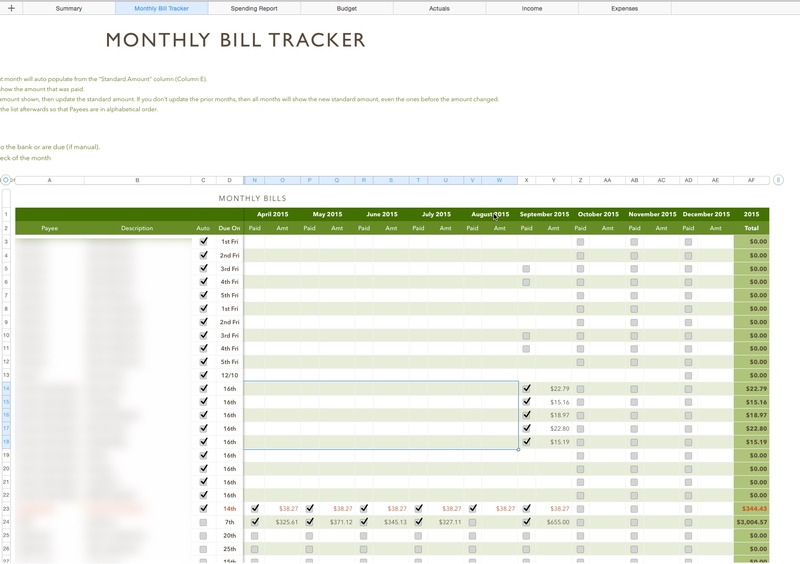 I have never produced a spread sheet… I do, however, from time to time, make lists. Those are fun. Lists are awesome! And you. Can do them in Numbers too! Lists are always awesome. And easy to make in SPREADSHEEETS!! Haha!